Where Can I Get a BMW Oil Change? If the time has come to change your BMW engine oil and filter, you might be wondering, “where should I get a BMW oil change near me?” BMW of Bloomington can help. Whether you are in Normal or Decatur, only a BMW service center can guarantee the star treatment your BMW deserves. Find out more below, then schedule service at BMW of Bloomington when it’s time for your next oil change! Why Get an Oil Change at a BMW Dealership? Friendly and knowledgeable BMW-certified technicians know all the ins and outs of your model and will treat it with care. Depending on your BMW warranty, an oil change may be covered as part of routine maintenance. BMW dealerships like BMW of Bloomington offer premium perks and luxury-level amenities, like BMW loaner vehicles, towing rescue, and more. We use genuine BMW parts including Original BMW Engine Oil specifically made for your BMW to optimize performance and vehicle longevity. What Is Original BMW Engine Oil? Original BMW Engine Oil is designed, manufactured, and tested to ensure you can enjoy your Ultimate Driving Machine to its full potential for as long as possible. This special product protects the engine from sludge and captures dirt particles*, helps deliver excellent fuel economy, and offers good low-temperature performance** so you don’t have to worry about starting your car in the cold Midwest winters. How Much is an Oil Change for a BMW? Depending on your model and the area you live in, BMW oil change cost will vary, but at some dealerships it can cost over $100 for a luxury vehicle oil change. 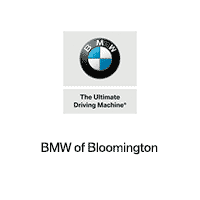 At BMW of Bloomington, you can take advantage of our BMW Value Service and save on your next visit from Pekin! When it’s time for your next oil change in Bloomington, visit the BMW of Bloomington service department. Learn more about BMW ownership and vehicles below, and be sure to contact us with any questions! We are dedicated to speedy and effective service so you can get back to having fun in Bloomington. If you are shopping for a new model, compare your options like the BMW X1 vs. Lexus NX to learn more! *Based on industry standard sludge tests and industry standard NOACK tests. **Applies for all 0W-grades. 5W-grades ensure a low-temperature performance in temperatures as low as -35 °C. 0 comment(s) so far on Where Can I Get a BMW Oil Change?